So on a grey day in late October 2016 I leave the wide open fen of my East Anglia home for the wide open steppe of the east European plain. A train into London, a train out of London, a connecting bus to Luton airport. 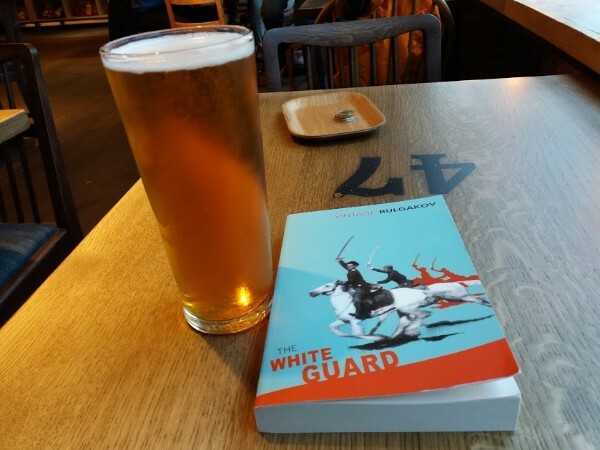 With two hours to kill I find some food and then settle down in a bar with a beer and my book for the trip, Mikhail Bulgakov’s1 ‘The White Guard’. Kyiv changed hands more than a dozen times during the 1918 civil war as German, White Russian, Bolshevik and Ukrainian nationalist forces fought each other for control. Bulgakov numbers the changes at 14, ten of which he saw himself. I, on the other hand, live in a city that has changed hands once, in 1069. Finally the gate is called and we troop on board and find our seats. A young Ukrainian, probably in his early thirties, takes the seat to my left. We start talking, his name is Vlod and he’s travelling to Poltava, a small city to the east of Kyiv, where he’ll visit his parents. We talk for much of the flight. He has a small business in the UK where he and his wife breed French bulldogs. He hands me his business card and mentions he’ll give me 10% off if I want one. We talk about Ukraine, politics, football, his business in the UK. He’s optimistic about the future. Suddenly it’s 9pm and we’re above Kyiv. Despite the darkness I can see the black outline of the Dnieper, and then the city lights, I gasp, Vlod smiles. We disembark, I speak my first words of Ukrainian at passport control. In the airport I’m met by Alina from Awesome Kyiv2, She’s there to sort me out a cab and smooth my journey to the AirBnB, so I can relax a little. I go to change some money up. When I return Alina has a cab ready for us. She’s surprised that I’ve packed so little. I sit in the front seat with the young driver, Alina’s in the back. The two of them chatter away in Ukrainian. I get a call from the AirBnB host, I hand the phone to Alina who deals with it all. The host can’t meet us at the flat and has left the keys elsewhere, that we need to pick up. Alina gives the driver the new instructions and we’re off again. We stop outside an apartment block and walk to hut where a sleepy janitor hands over the keys for the flat. We drive to the AirBnB. Alina leaves me at the entrance, and says I should WhatsApp her if I need anything. I enter the building but can’t find my door. I stop a passing woman and ask in my broken Ukrainian for help. She points downstairs, where I eventually find the door to the flat. I can smell cooking food but alas will have to make do with the sandwiches I bought at the airport, I wolf these down, as I’m in a rush to see a little of the town before bedtime. 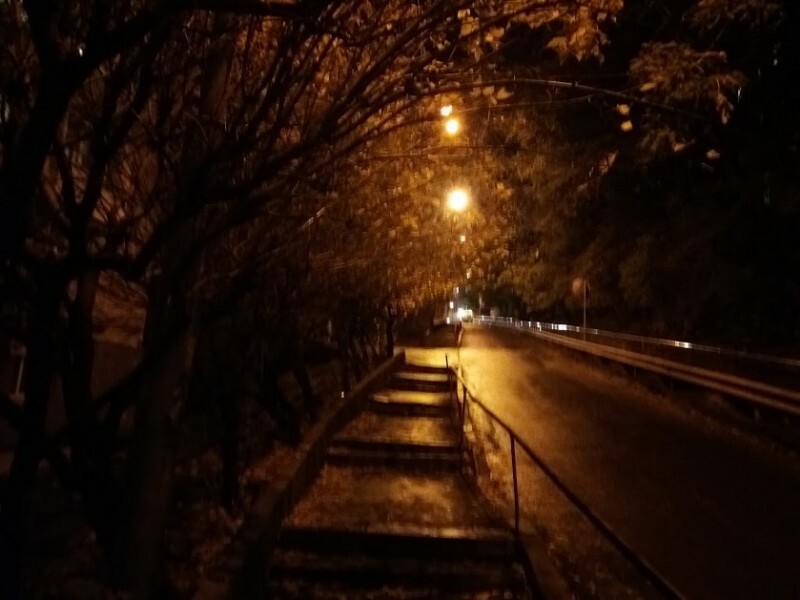 I leave the flat, cross the dark courtyard and make my way out into the mild Kyiv night. There is a slight drizzle, refreshing after so many hours on the road. Outside the courtyard I take a right onto Ivana Franka3 street. The street starts level but quickly begins to climb a steep hill. Paving stones are replaced by cobbled steps, a handrail appears to my right. The steps are slippery, I take care walking up. At the top of the hill I take a right onto Yaroslaviv Val street and then down a few steps and into the Collider Taphouse bar4. I study the chalk board that lists a dozen or so beers. I give my order in atrocious Ukrainian and am answered in confident English. I find a seat at a table and enjoy my beer and then another. I leave the bar just before it closes and decide to explore a little. I continue on down Yaroslaviv Val street and shortly find myself at the Golden Gate square. 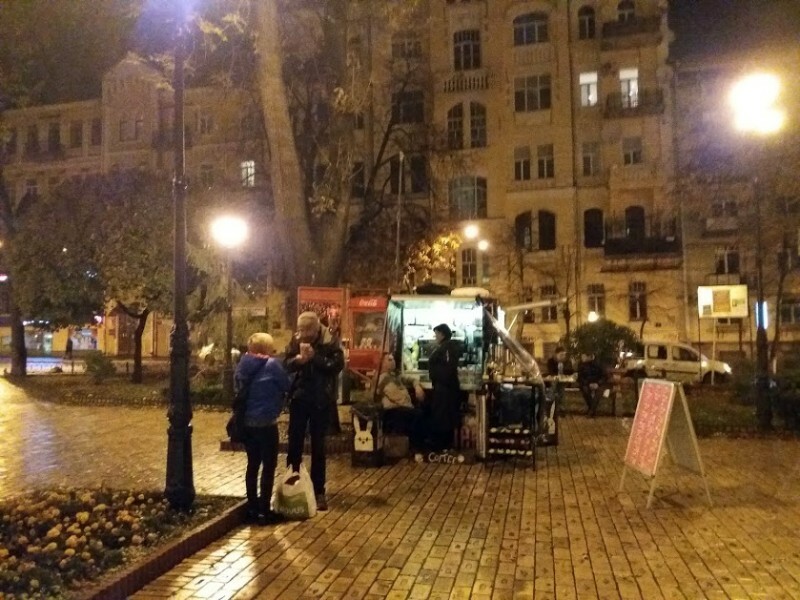 At almost midnight it there are still people chatting in groups, buying coffee from a mobile stand, enjoying a cigarette. I sit on a bench and watch the Kyivites. I marvel at all this and then walk back to the flat, happy. 1. 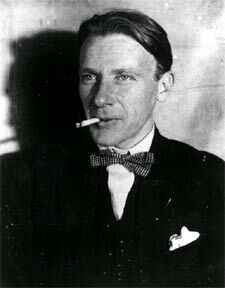 ⇧ Born in Kyiv in 1891, Mikhail Bulgakov is best known for his masterpiece The Master and Margarita. Bulgakov wrote The White Guard in 1925. The book centres on the lives of the Turbin family as they attempt to navigate the chaos and bloodshed that engulfed Kyiv during that time. 2. ⇧ I can highly recommend Awesome Kyiv. Along with airport pick-ups and general troubleshooting, they offer a range of guided walks and nights out in interesting cafes, restaurants and bars. 3. ⇧ Born in 1856 in the village of Nahuievychi in Galicia, Ivan Franko was a poet, writer and a founder of the socialist movement in Ukraine. He has had a huge influence on modern literary and political thought in Ukraine. Franko died in 1916. In 1962 the city of Stanyslaviv in western Ukraine was renamed Ivano-Frankivsk in his honour. 4. ⇧ Kyiv’s first craft ale brewery and bar is in a cosy basement, small and friendly it’s a great place for a beer and some food. Highly recommended. 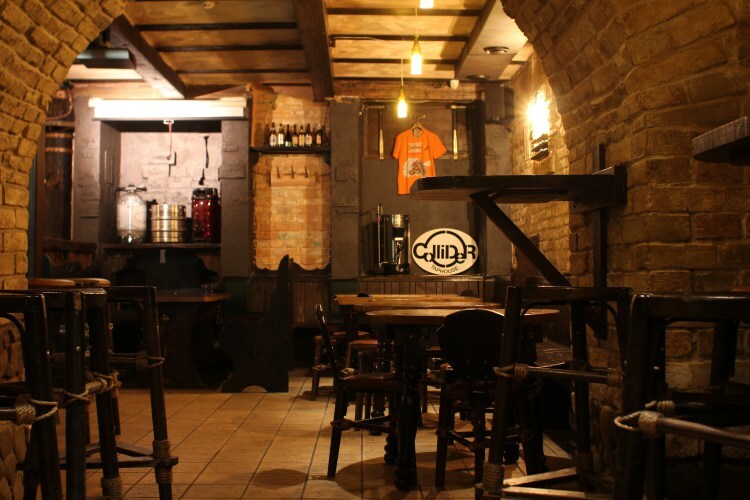 The Collider Taphouse can be found five minutes from the Golden Gate at 16 Yaroslaviv Val street.